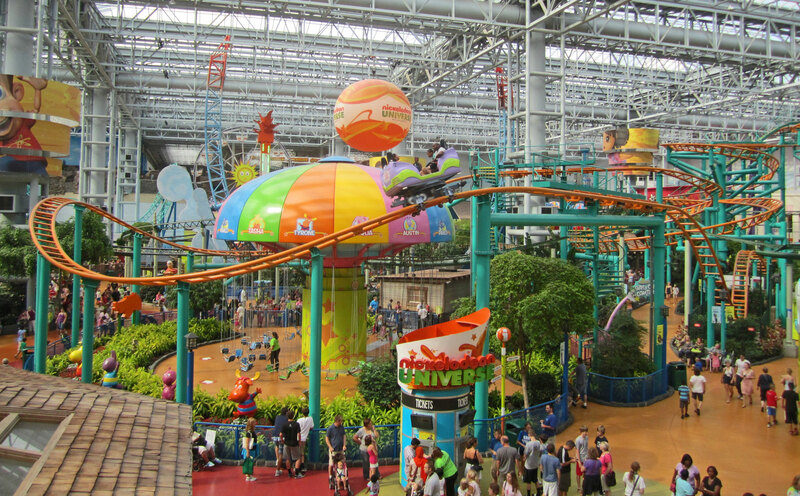 Fairly Odd Coaster at Nickelodeon Universe in Minnesota, USA. 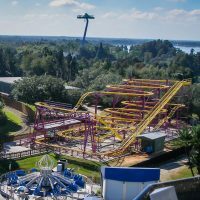 Originating as the Spinning Wild Mouse, essentially a typical wild mouse coaster with cars that could freely spin at certain points in the track, the Spinning Coaster has expanded to include more unique and less-mouse like layouts. 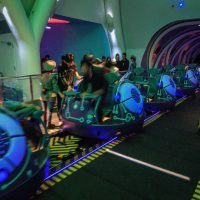 The cars have also changed, from all riders facing one direction, to riders facing opposite directions, to riders facing each other. 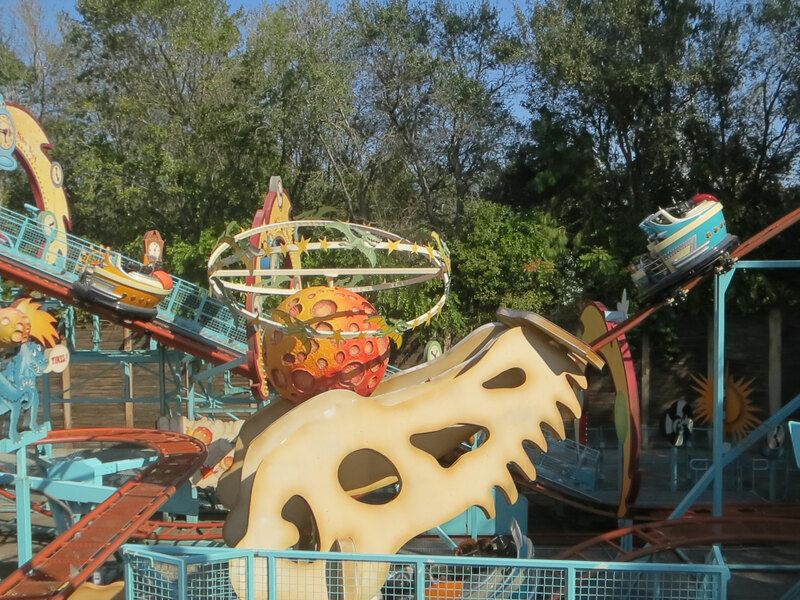 Primeval Whirl at Disney’s Animal Kingdom in Florida, USA. 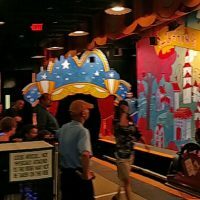 Essentially a spinning car on a generic Wild Mouse track, the original Reverchon spinning mouse is very tame, but can often be more fun than the more technically-impressive versions of today. 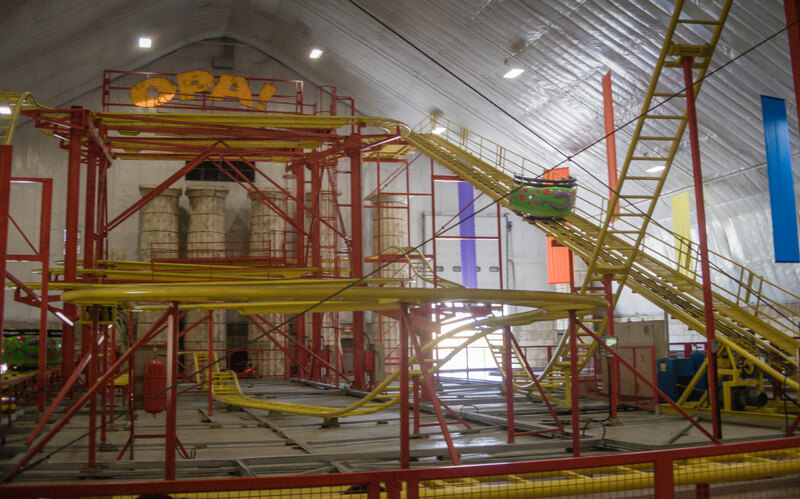 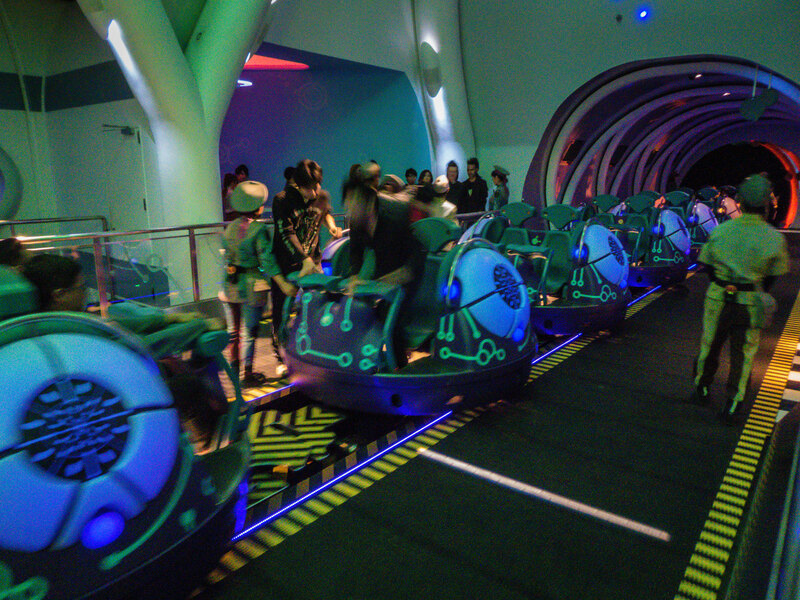 Unlike newer spinning coasters, the four riders face one direction as they traverse the dual layer circuit. 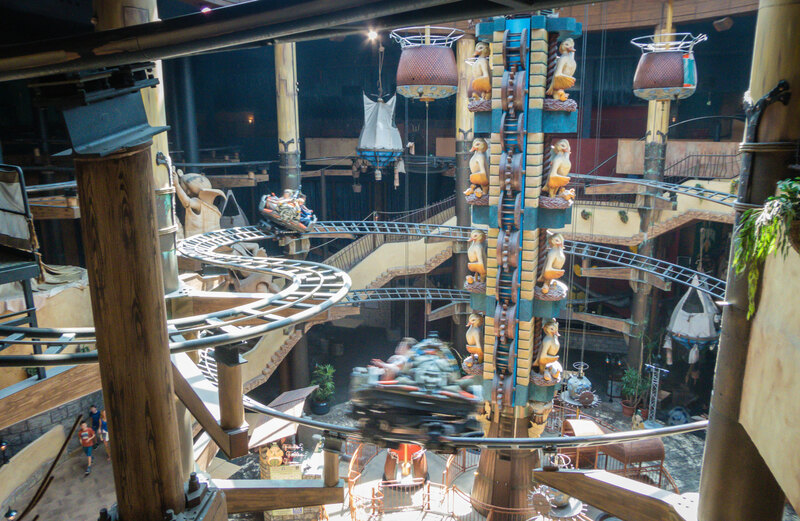 Winjas at Phantasialand in Germany. 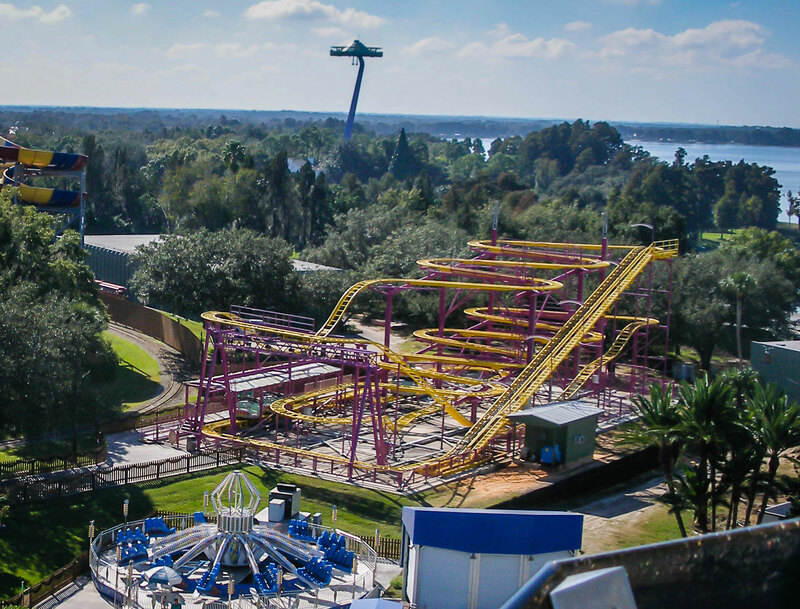 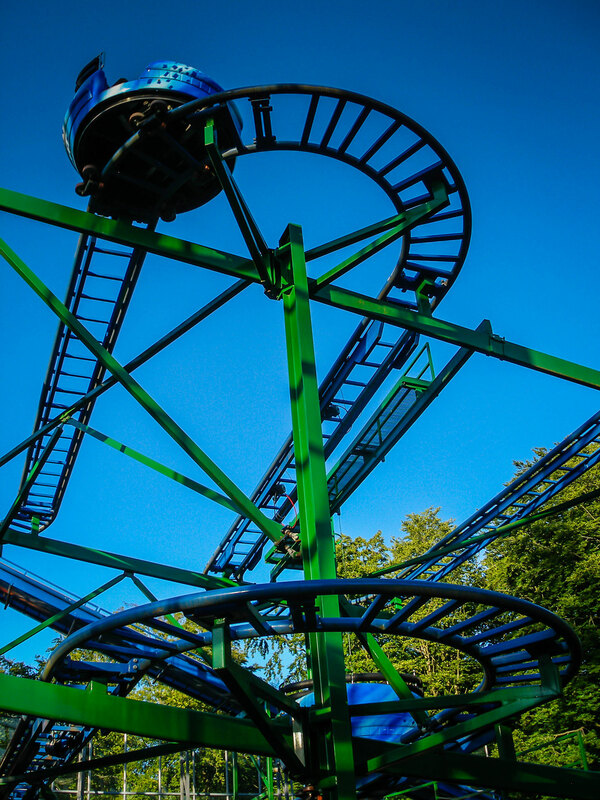 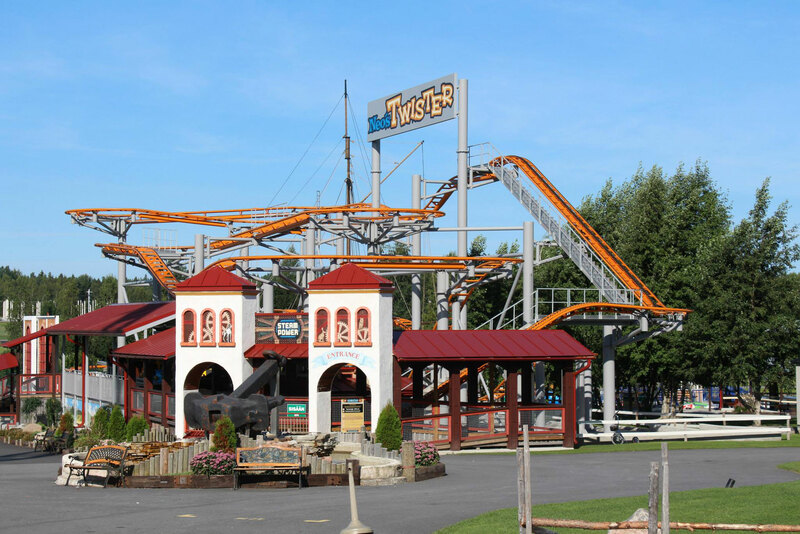 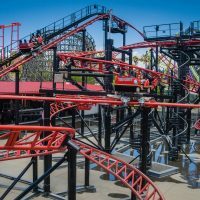 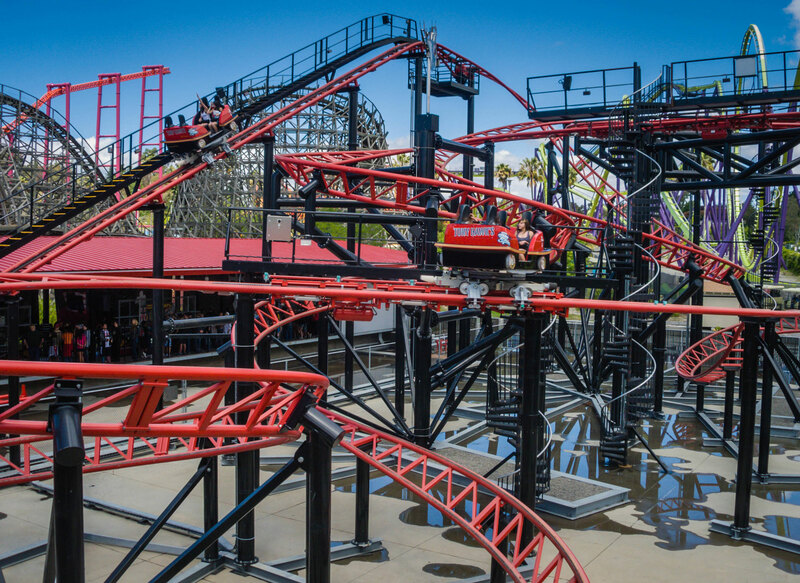 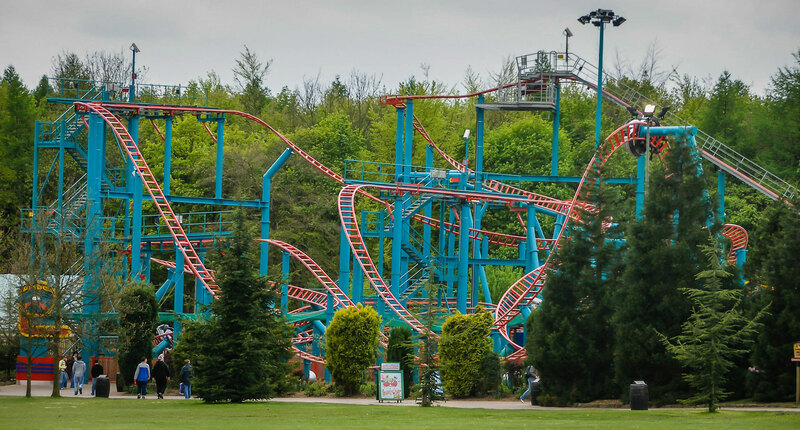 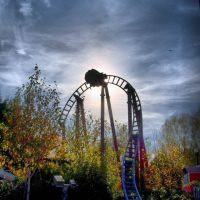 More intense layouts and a smoother ride experience make the Maurer Xtended Spinning Coasters (or “S-Car” as they are often known) one of the company’s most popular models, pleasing to thrill seekers as well as families. 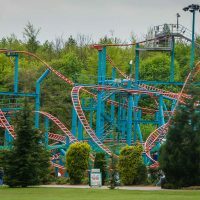 The four-person cars spin freely as they move along the track and unlike Reverchon’s and Gerstlauer’s versions, riders face away from each other in pairs. 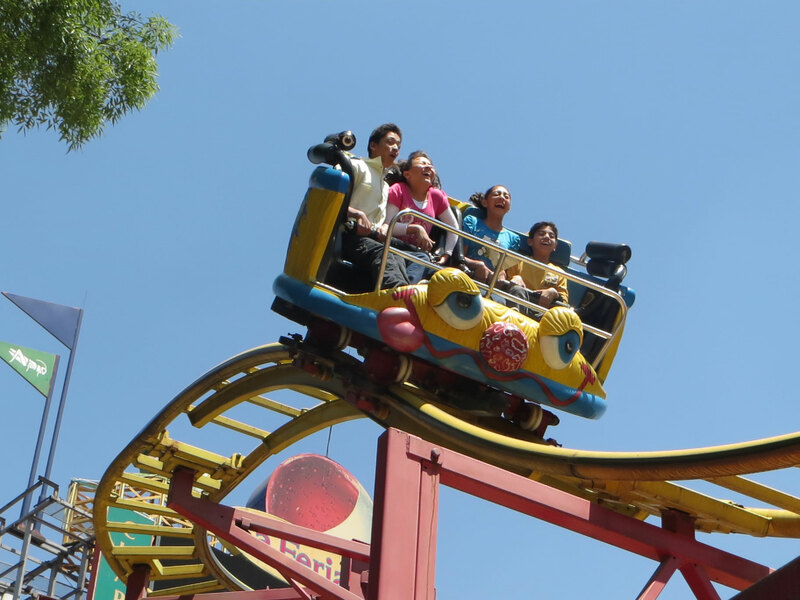 The speed of the spin is determined by the weight distribution of the riders so theoretically every ride is different. 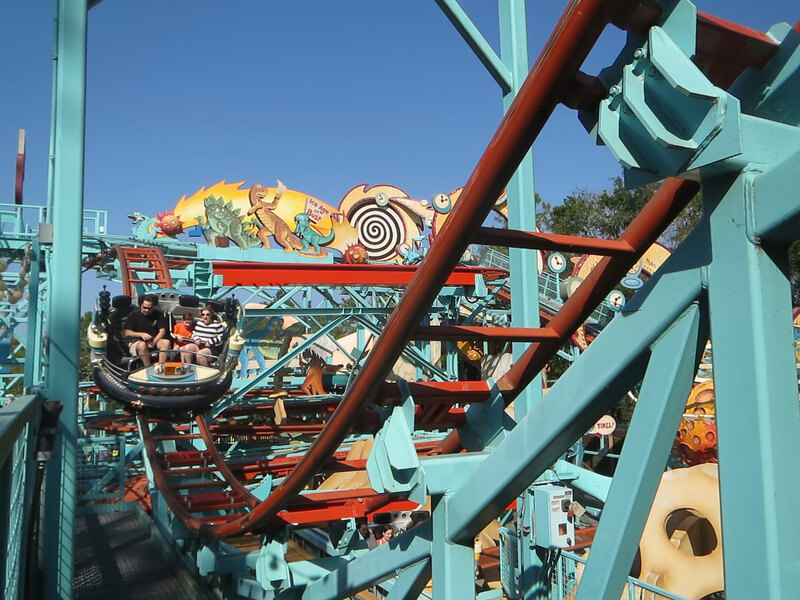 The S-Coaster tends to be a customised installation and can feature special track elements, such as on Winjas at Phantasialand in Germany. 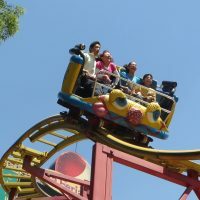 Maurer’s first spinning coaster was Spinning Coaster Maihime at Tokyo Dome City in Japan, which opened in 2000. Twistrix at Drievliet Family Park in the Netherlands. 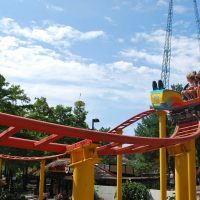 Maurer came up with a one-off variation of their spinning coaster in 2001, that is essentially a clone of the Intamin Twist and Turn coaster (see below). 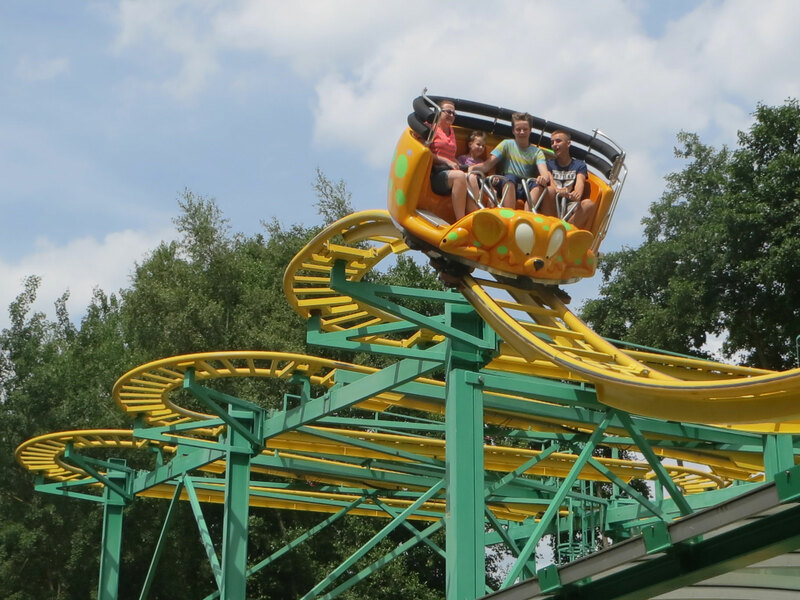 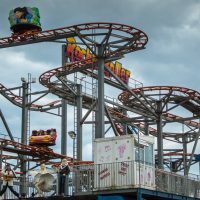 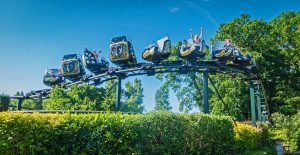 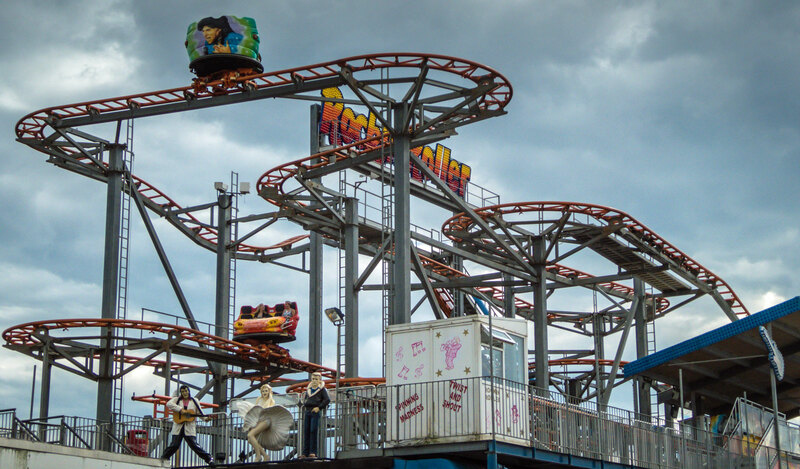 Twistrix at Drievliet Family Park in the Netherlands is an extremely family-friendly variation with a basic layout that features gentle inclines and a powered train with eight cars of two-person spinning seats. 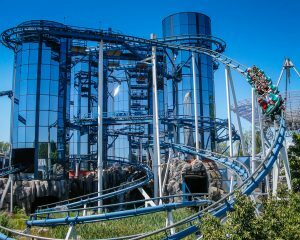 Euro Mir at Europa Park in Germany. 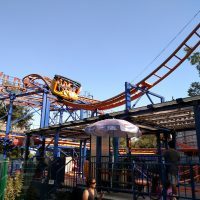 Mack Rides debuted this coaster type at their own Europa Park in the form of Euro Mir in 1997. 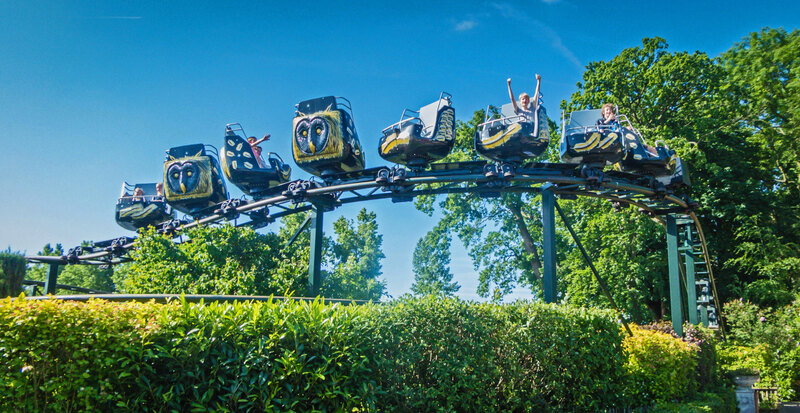 Things fell silent for the Mack spinning coaster after the model debut, but recently have re-invigorated the type by adding features like elevator lifts, launches and inversions. 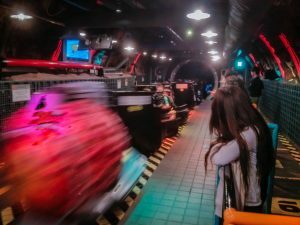 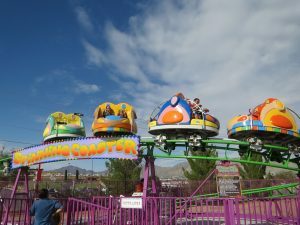 They differ from all the other spinning coasters here as the ride comprises of “trains” of spinning cars, rather than individual cars. The four seater cars can have riders face one other or sit back-to-back, so at certain points in the ride you’ll get to see other riders. 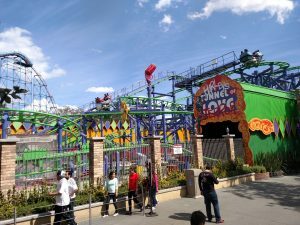 Joker at Six Flags Mexico. 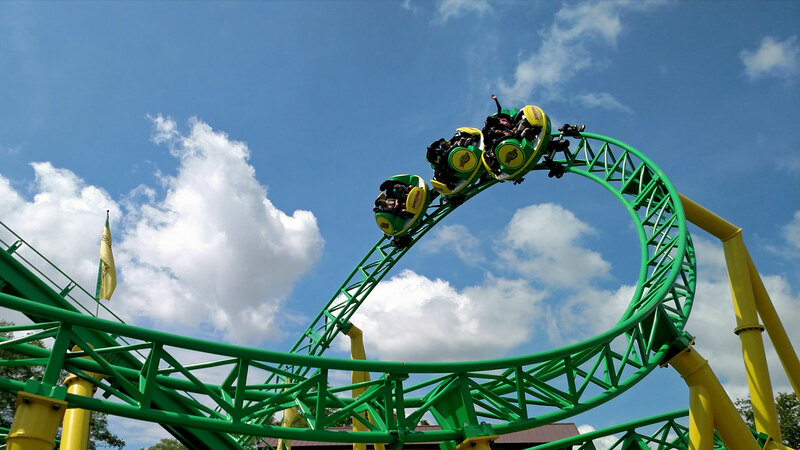 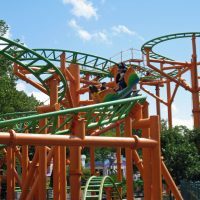 Adding to their portfolio of smaller, curious coaster types, Gerstlauer introduced their inward facing spinning coaster in 2004 with Fairly Odd Coaster (previously know as Timberland Twister) at Nickelodeon Universe in Minnesota, USA. 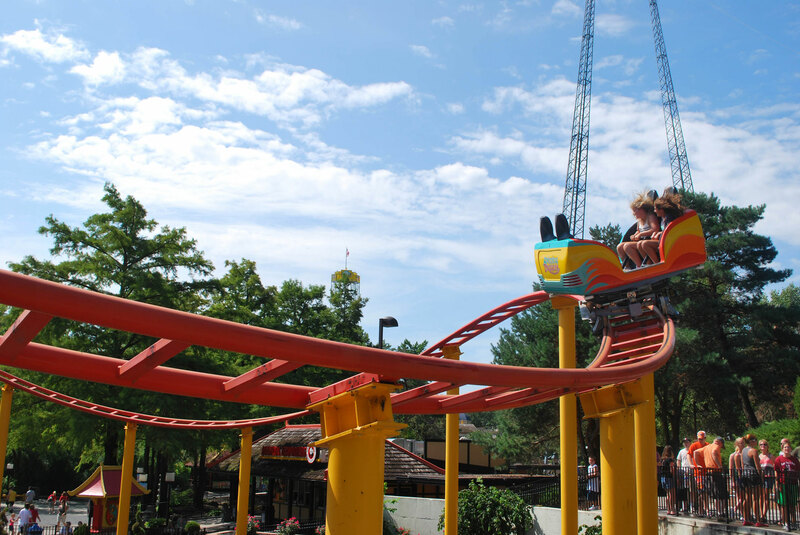 The cars of this coaster spin freely during the ride and react to weight and acceleration, making each ride unique. 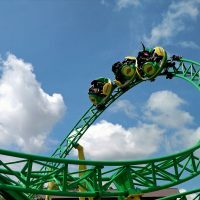 The spin tends to be a little more intense when you get it, but you feel a little more detached than on other spinners as you’re looking at other people, rather than track. 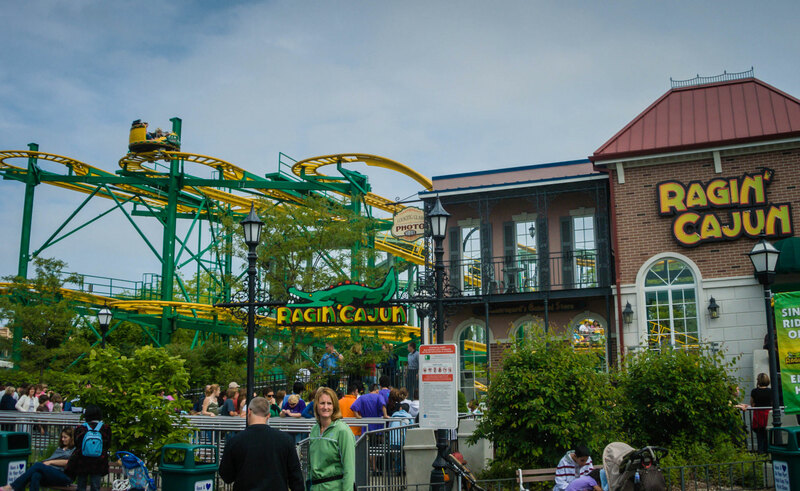 Ragin’ Cajun at Six Flags Great America in Illinois, USA. 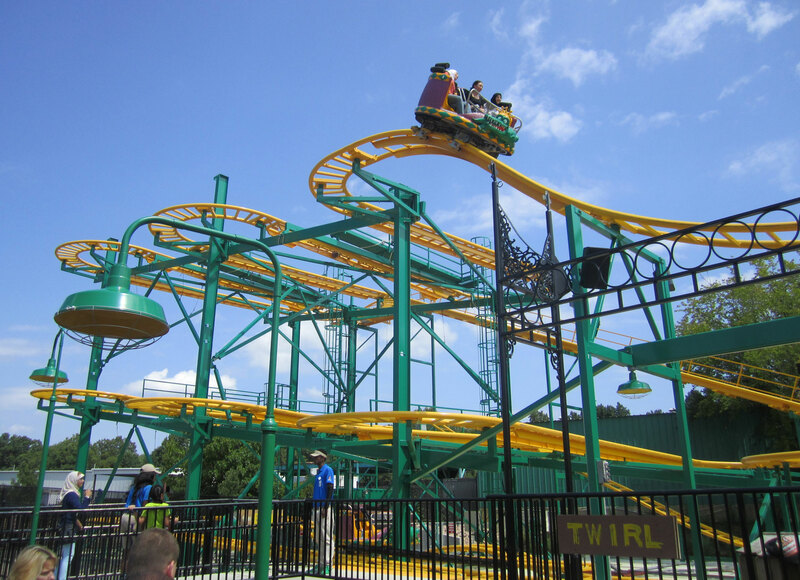 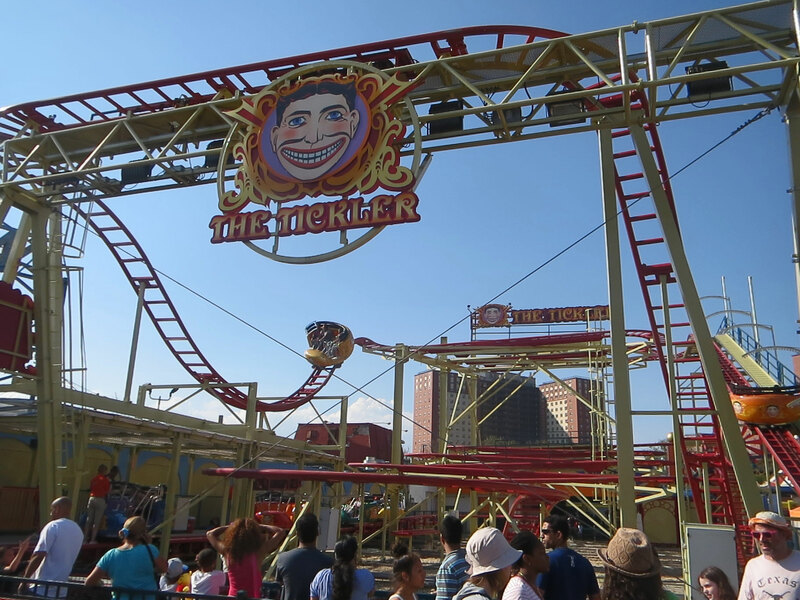 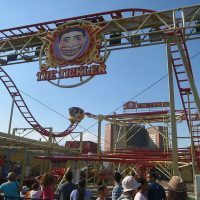 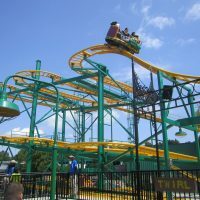 The Twister Coaster is similar to other spinning wild mouse coasters produced by other manufacturers. 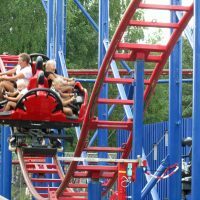 Unlike other models, Zamperla Twister Coasters use individual lap bar restraints for the riders. 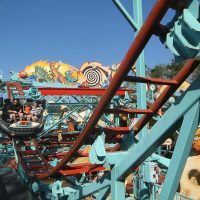 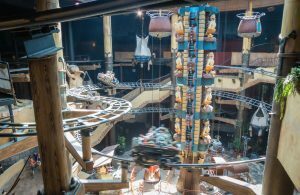 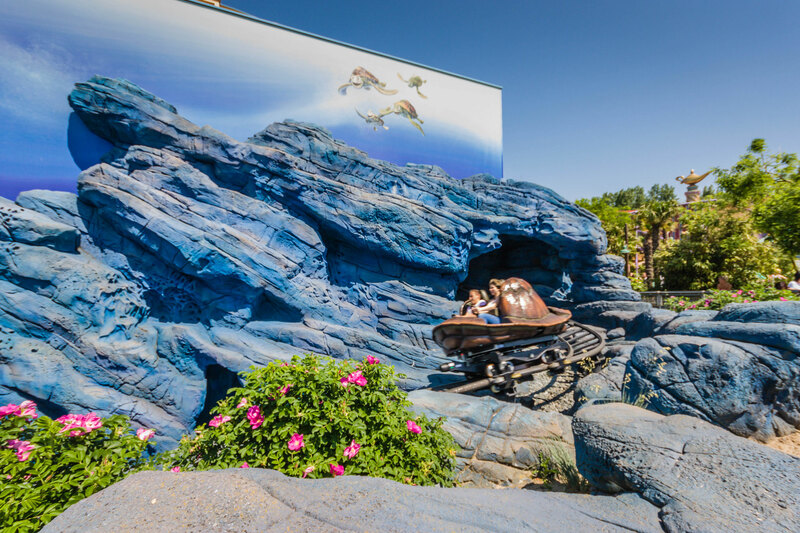 Like the Reverchon Wild Mouse models, up to four riders can sit in a car that travels along a track with several small drops and 180° hairpin turns. 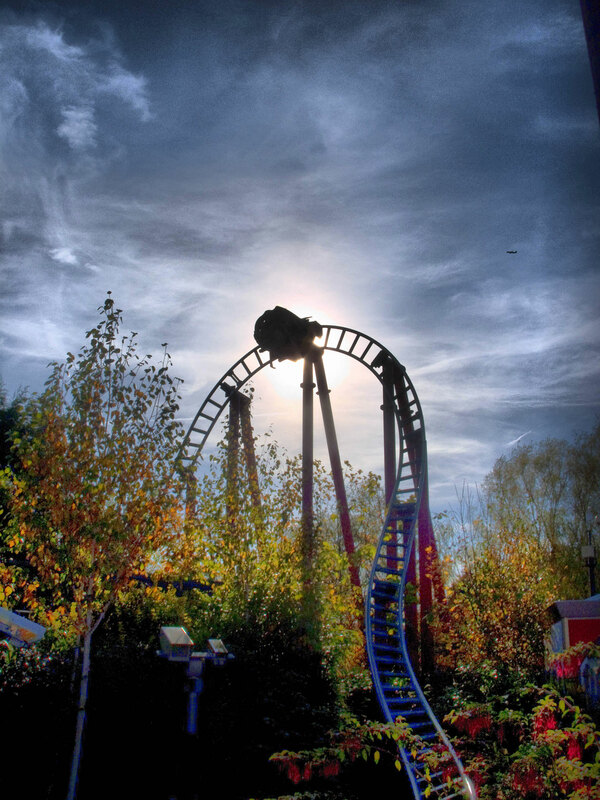 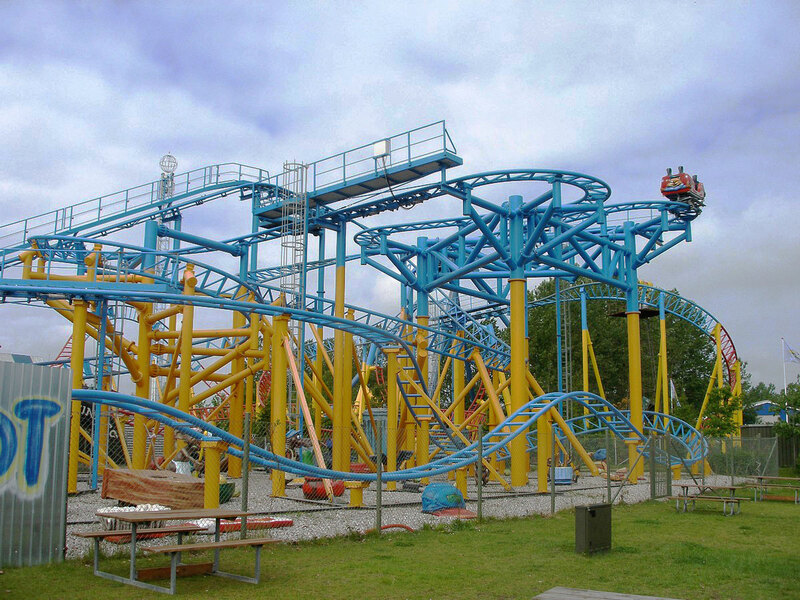 The Twister Coaster comes in several set sizes or can be customised to a theme park’s specification. 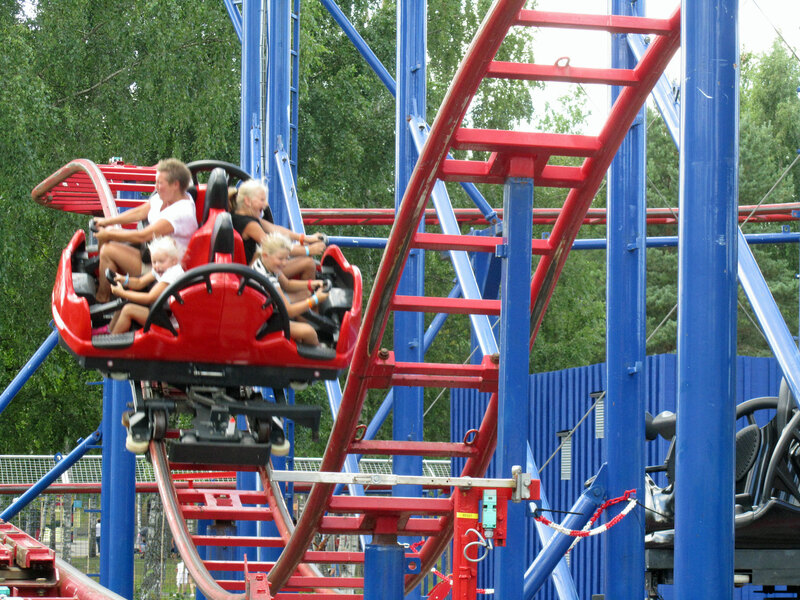 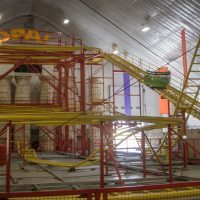 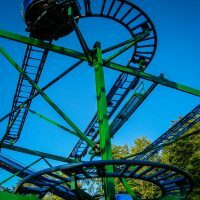 Neo’s Twister at PowerLand Park in Finland. 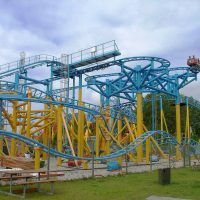 Fabbri manufacturers a more compact version of the standard Reverchon layout although they are very similar in looks and ride quality. 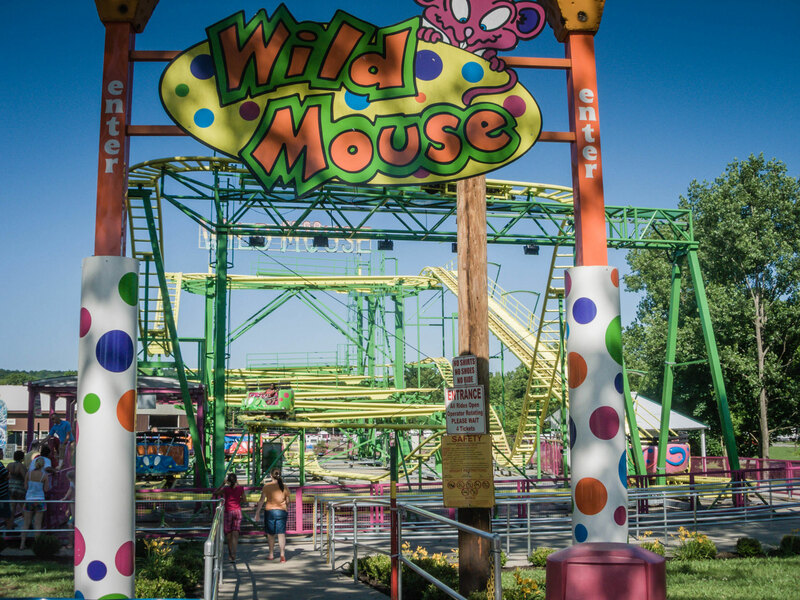 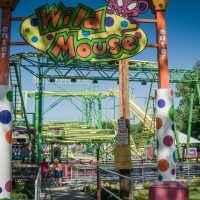 It’s a little less “Wild Mouse” than the Reverchon version, but that’s about the only real difference. 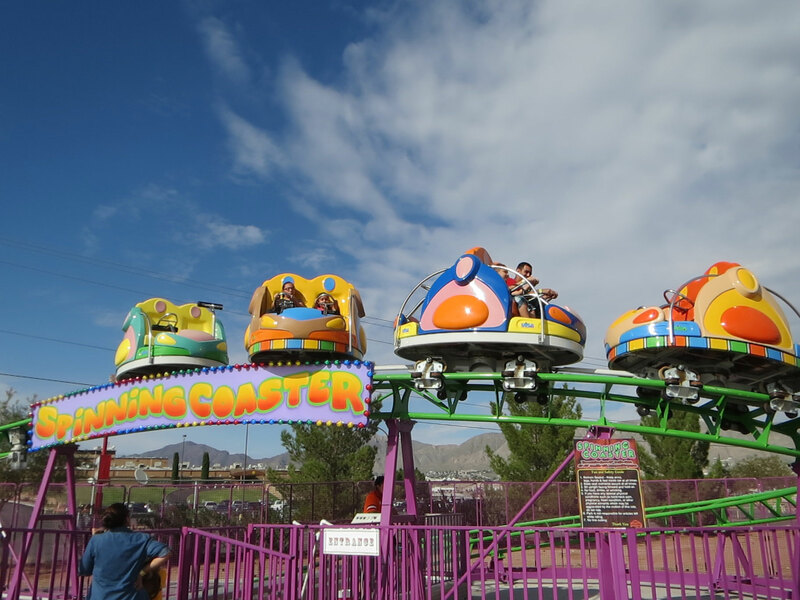 Spinning Coaster at Western Playland in New Mexico, USA. 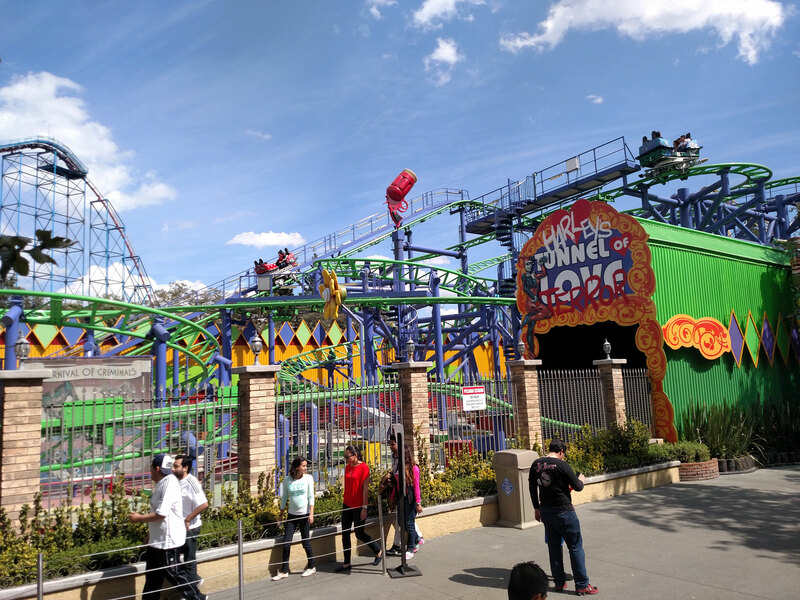 The SBF VISA Group began producing their very popular family-friendly Spinning Coaster in 2013. 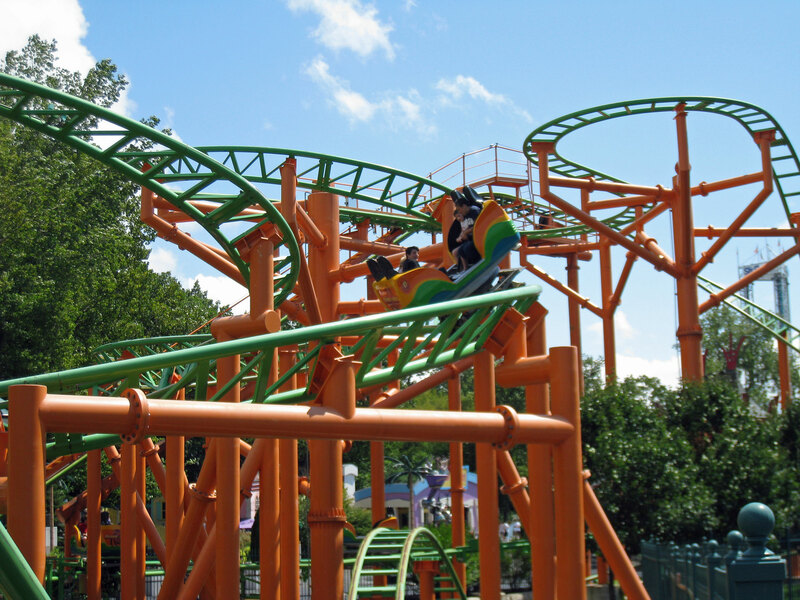 The coaster consists of very compact figure eight track layout and a four car train with back-to-back seating. 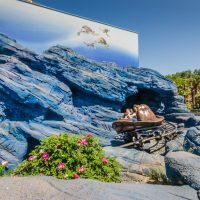 The relatively low cost, extremely small footprint and minimal maintenance make it an attraction any park can add to their ride lineup. 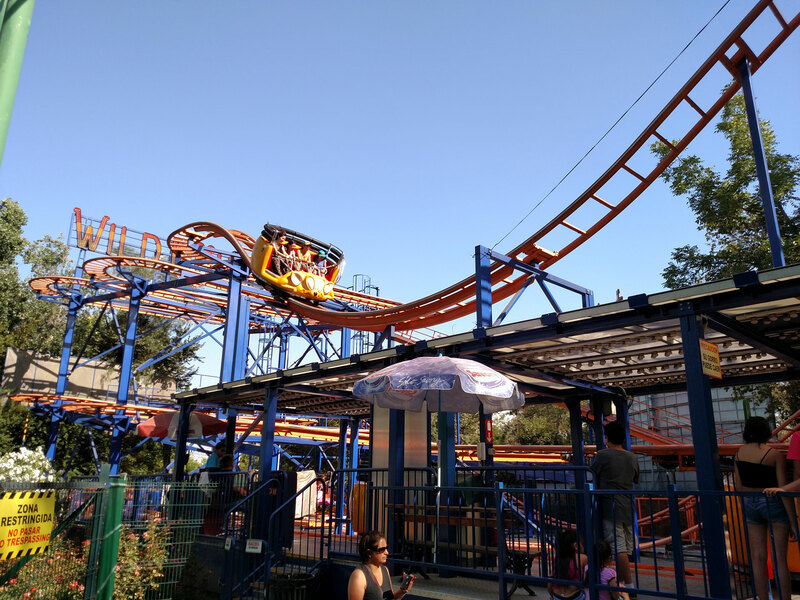 Comet Express at Lotte World in South Korea. 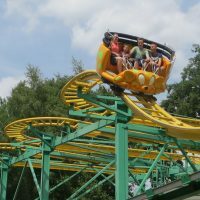 Like the Maurer knockoff at Drievliet Family Park in the Netherlands (see above), Intamin’s Twist and Turn coasters are extremely family-friendly with a basic layout that features gentle inclines and a powered train with two-person cars of spinning seats. 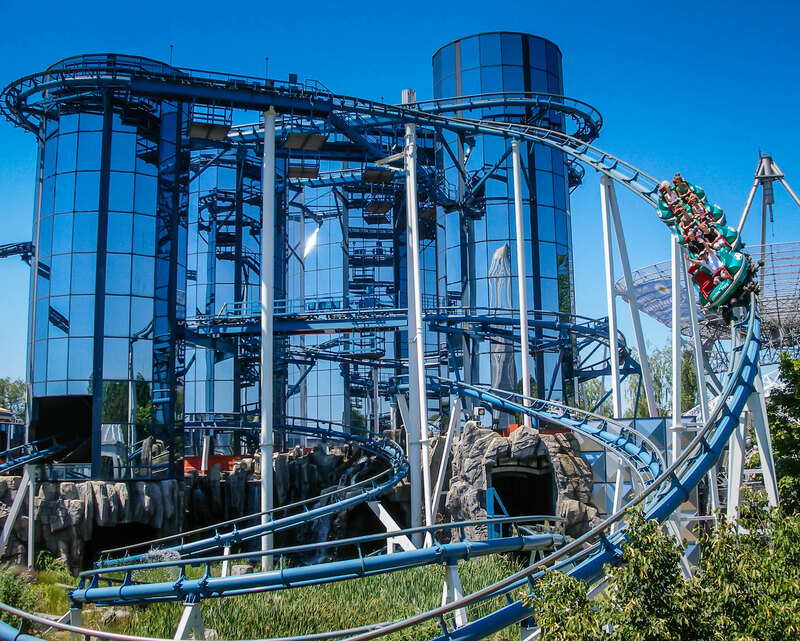 Comet Express at Lotte World in South Korea was the first when it opened in 1995, six years before the Maurer clone.